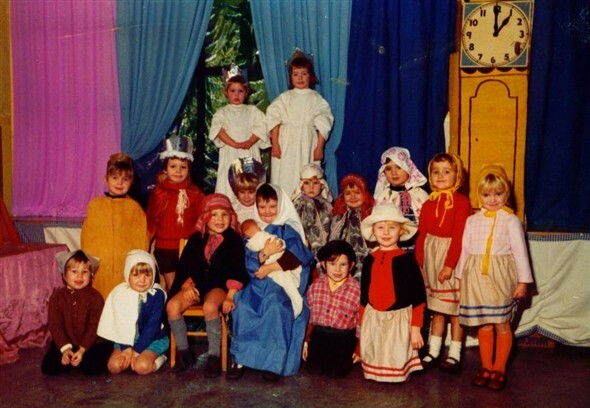 Meeching Valley C.P School Nativity group picture taken in 1974 or 75. I'm terrible for remembering names, but the ones that spring to mind are Laurie Stonehouse (yours truly), Paul Sherriff,Mark Thorne, Julie and Bridget Ripley, Janet Munster,Darren Newman?... er sorry that's it! Can anyone help with the other names? This page was added by Laurie Stonehouse on 12/03/2008.